Yesterday the East v. West style collab was all about metallic and today I wanted to share my favorite metallic pieces with you! 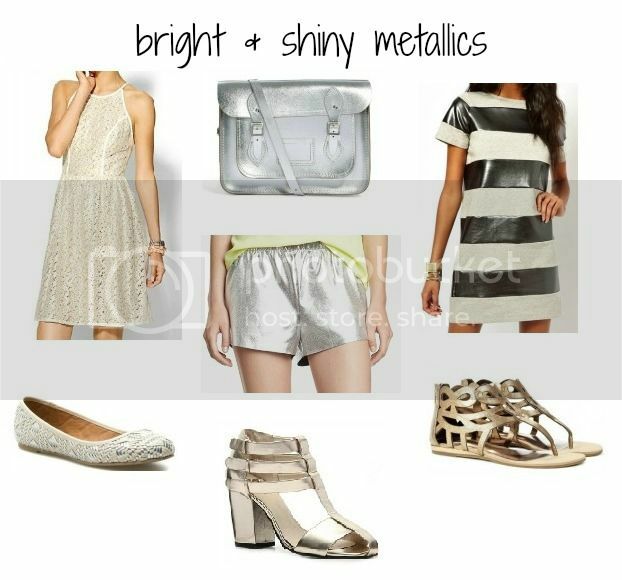 There's a lot of options out there right now, from full on metallic pieces (like the shorts and bag below) to pieces with just a touch of metallic (the shirt dress below) and also some subtle metallic pieces (lace dress to the left). Do you have any metallic pieces in your wardrobe? How have you styled them?